For sales from Japan at lower price on this Heritage Series of G-Shock GW-B5600HR-1ER or as know in Japan as GW-B5600HR-1JF that comes with red bezel lettering and a black composite resin-link band with red inner links on the underside of the band. 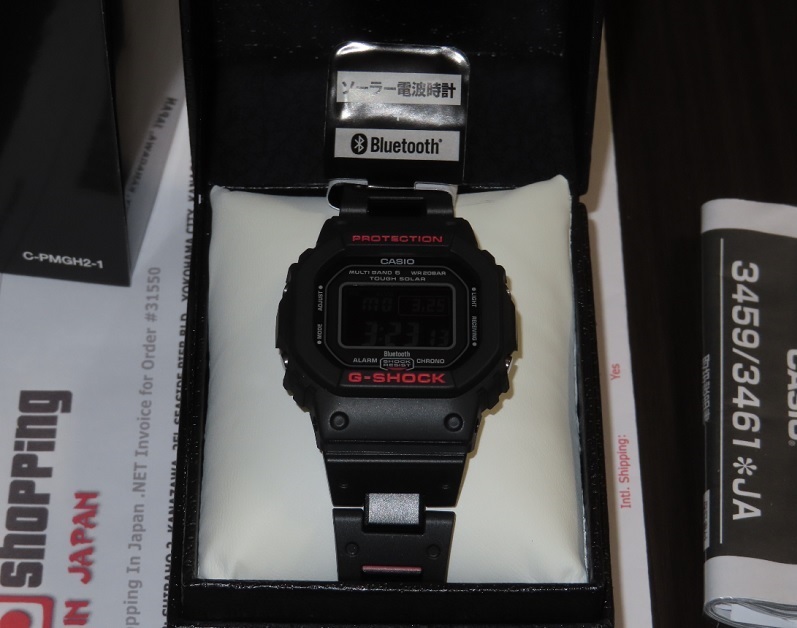 This GW-B5600HR Bluetooth is a JDM (Japanese Domestic Market) watch model and it's now in our stock - ready to ship within 48 hours to any country. So buy now before it’s too late!